Volkswagen Amarok 3.0 V6 Highline. 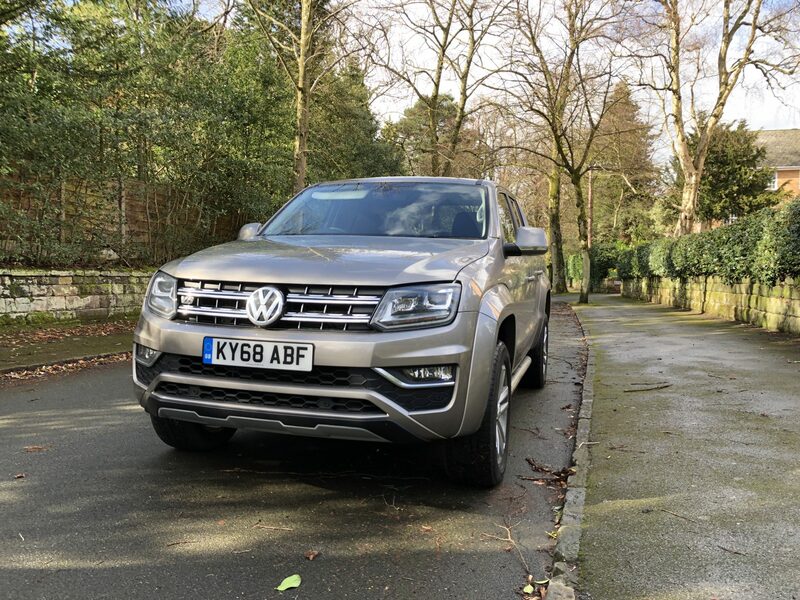 The popularity of pick-ups, shows no sign of abating, especially true if you’re lucky enough to drive a Volkswagen Amarok. When VW relaunched their pick-up, they decided to only offer a 3.0 litre engine. The range topping 3.0 V6 Highline TDI 4Motion made its way to Company Car & Van Towers recently & despite the pick-up ride & so-so fuel economy, I am missing it already. Being more of an on-road pick-up driver, it’s safe today that the 3.0 Highline is at the top of the class when it comes to pick-ups. With a massive 580Nm’s of torque on offer at between 1,400-3,000 revs, this 3,290kg monster will take you from 0-62mph in just 7.4 seconds. Cue a massive smile. 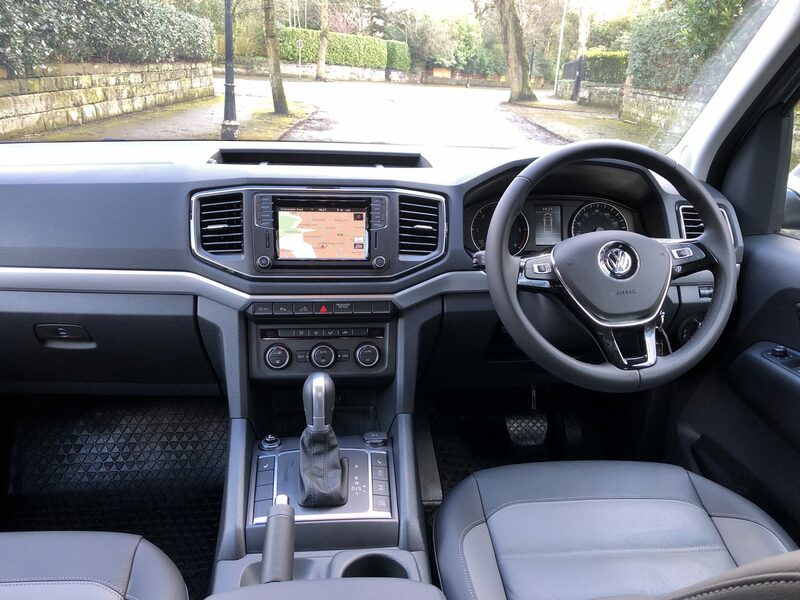 Climb aboard & although you know you’re in a pick-up, the Amarok interior has a distinctly car-like ambience, with much of the design & layout familiar from other Volkswagen products. The Highline offers heated leather seats, a leather gear shift & multi-function steering wheel, climatronic air-con, cruise control & a useful four 12v sockets in the cargo area. There’s decent sized storage bins in all the doors. These contain a moulding to hold a can or bottle. There’s also a lidded bin & two cup holders between the front seats in front of an armrest, with even cup holders for the rear occupants. There is also a cubby hole at the bottom of the dash & a tray on top of it with a 12v power point. Throw in a lockable glove box, a sunglasses compartment & storage drawers under the front seats & you really are spoilt for choice. The drivers seat & steering wheel are height adjustable & the rear centre passenger bench seat comes with a proper 3 point seat belt. This bench can also be folded back & held in place with straps to create a larger space if needed. It also features three head rests. The Highline is packed with equipment too. My test vehicle came with amongst others ESP, ABS, TCS, EDL, Hill Hold Assist, which I love, Hill Descent Control & Trailer Stability Control. Security includes an anti theft alarm, remote central locking, driver & front passenger air bags, front, side & curtain airbags & a seatbelt reminder. 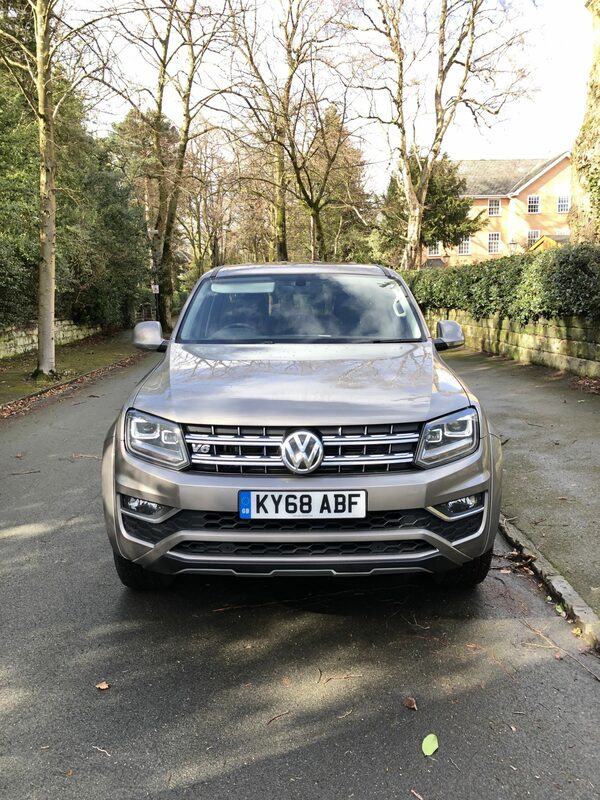 Highline also has bi-xenon headlamps with LED daytime running lights, front & rear parking sensors, with a rear view camera, App-Connect, darkened rear light clusters Voice Control, heated & powered wing mirrors & privacy glass. Also fitted to our Highline was the Discover Media navigation system, with a 6.33” touchscreen & voice enhancer, an additional £684. DAB radio & Bluetooth connectivity are also part of the system, which graphically, was clear & concise as well as simple to use. My i-Phone connected first time through Bluetooth & I utilised Apple CarPlay through VW’s connected App’s. Interior quality is excellent, with tough plastics where tough plastics are needed – door pockets, seat edging – & softer more car-like finishes on top of the dash. Only the Mercedes X-Class interior looks & feels classier. There’s plenty of room for five adults in the cab & I really like the large rear window which gives the driver a clear view of the back of the truck & the load bed. Talking of the load bed, it’s one of the largest of any of the double-cab pick-ups available in the UK, with a volume of 2.5 square metres. Because the double-cab offers 1.22 metres between the wheel arches, you can fit a Euro pallet in sideways. All versions of the Amarok carry in excess of 1 tonne, so customers can reclaim VAT if they’re registered. 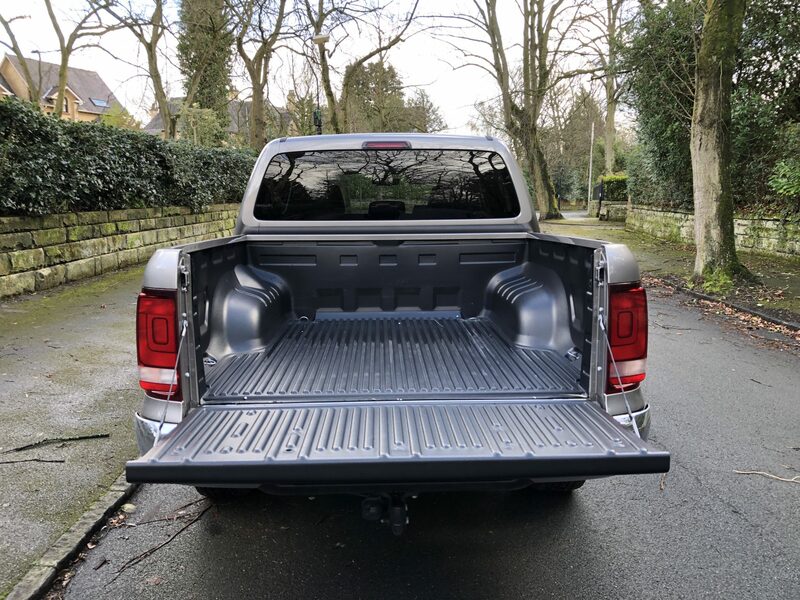 Customers can add some extras to the load bay too, including an electric tow bar £300, four load lashing rings £42, a protective coating for the load bed £810, plus you can add soft or hard top tonneau covers. All versions of the Amarok will also tow a 3000kg trailer, with the top-spec versions, including my test version, with permanent 4Motion, capable of pulling up to 3100kg. All Amarok’s though, lag behind the pulling power on offer with the Toyota Hilux which will tow 3200kg, as well as the 3500kg towing output which you’ll get if you buy an Isuzu D-Max, Nissan Navara. Mercedes-Benz X-Class or Ford Ranger. The Amarok is protected by a 3 year 60,000 mile warranty, 3 year paint & 12 year body protection & includes UK & European road side assistance. The engine is fitted with LongLife synthetic oil, aimed at reducing servicing from 12,500 mile to up to 25,000 miles, which has to be a good thing. Sensors in the vehicle work out when a service is due & VW maintain that using LongLife oil will increase fuel economy by an average of 2.7 %. A week & almost 300 miles of very enjoyable driving, saw us average 27.9 mpg, with the official claimed combined economy being 33.6mpg. So not too bad. CO2 emissions are 220g/km. We didn’t go off-road in that week, nor did we utilise the load bed, as many Amarok customers won’t do either. The Amarok V6 on road is pure fun to drive. Yes the rear bench when the Amarok is unladen offers up a bumpy ride, but up-front, it’s not at al bad & I really haven’t had so much fun in a pick-up before. 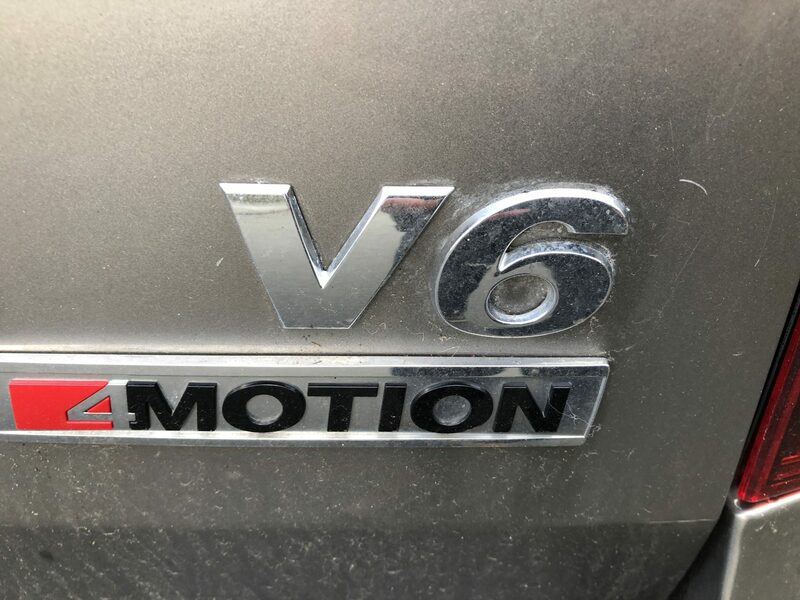 The V6 doesn’t just fly, but rocket-launches from a standing start, giving me the largest smile in the UK. On the motorway & in cruise control, it will also sit happily & quietly at 70mph. The eight-speed auto gear box is pure class as well. With it’s car like drive-ability, it’s much improved on the original Amarok. Add in the high levels of standard spec & safety features plus excellent build quality & Amarok customers really are on to a good thing. Are there any negatives ? Well if you want this model you’ll be coughing up £42,857 ( £35,765 before vat ) & it isn’t quite as practical a workhorse as some of the competition. 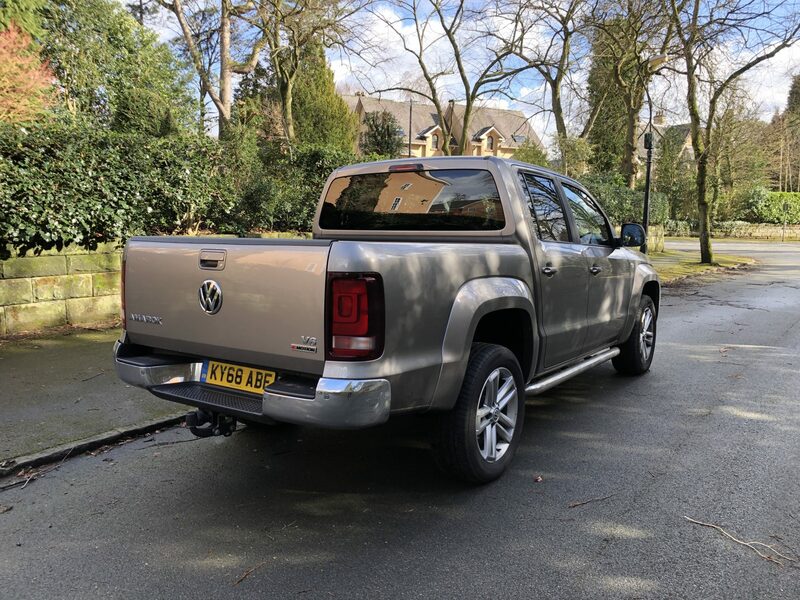 Where a Hilux or D-Max, Navara or Ranger can be used across the mid-West, the Amarok is much more a pick-up for the mean streets of Silicon Valley & Palo Alto, a pick-up that you can drive whilst wearing a suit with sneakers & not just a checked shirt & work boots. Yes please ! It’s a heavy weight fight at the top & the Amarok is right up there. 4.5/5.